The Quill traveled with Joan and J.D. Shipman to Saguache, Colorado. 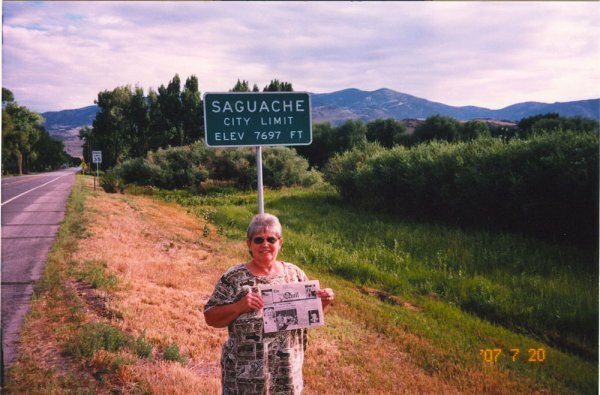 The Shipmans traveled through Saguache, heading to the mountains. Notice that the sign doesn't give a population, but gives the elevation. Their destination was 45 miles from Saguache. When you go on a trip, take The Quill along with you, and take your picture with it and send it to us. Let us see where all The Quill can go.